Of Irish/English ancestry, Agnes was born near Boston, the daughter of a Presbyterian minister (her mother was a mezzo-soprano) who encouraged her to perform in church pageants. Aged three, she sang &apos;The Lord is my Shepherd&apos; on a public stage and seven years later joined the St.
Of Irish/English ancestry, Agnes was born near Boston, the daughter of a Presbyterian minister (her mother was a mezzo-soprano) who encouraged her to perform in church pageants. Aged three, she sang &apos;The Lord is my Shepherd&apos; on a public stage and seven years later joined the St. Louis Municipal Opera as a dancer and singer for four years. 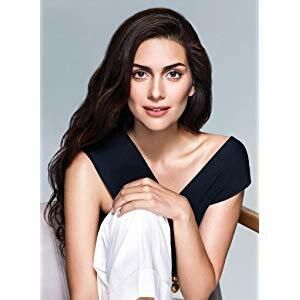 In keeping with her father&apos;s dictum of finishing her education first (then doing whatever she wished to do with her career), Agnes attended Muskingum College (Ohio) and, subsequently, the University of Wisconsin, where she graduated with an M.A. in English and public speaking, later adding a doctorate in literature from Bradley University to her resume. When her family moved to Reedsburg, Wisconsin, where her father had a pastorate, Agnes taught public school English and drama for five years. In between, she went to Paris to study pantomime with Marcel Marceau. In 1928, she began studies at the American Academy for Dramatic Arts and graduated with honors the following year. In order to supplement her income , Agnes had turned to radio early on. She had her first job in 1923 as a singer for a St. Louis radio station. Her love for that medium remained with her all her life, and, from the 1930&apos;s to the 1950&apos;s, she appeared on numerous serials, dramas and children&apos;s programs. She was Min Gump in "The Gumps" (1934), the &apos;dragon lady&apos; in "Terry and the Pirates" (1937), Margot Lane of classic comic strip fame in "The Shadow", Mrs.Danvers in "Rebecca" and the bed-ridden woman about to meet her end in "Sorry, Wrong Number" . Acting on the airwaves was so important to her that she would insist on its continuation as a precondition of a later contract with MGM. Significantly, through her radio work on "The Shadow"and "March of Time" in 1937, she met and befriended fellow actor Orson Welles. Welles soon invited her to join him and Joseph Cotten as charter members of his Mercury Theatre on the Air. Agnes was involved in the famous "War of the Worlds" broadcast of 1938, which attracted nationwide attention and resulted in a lucrative $100,000 per picture deal with RKO in Hollywood. The Mercury players (the other principals were Ray Collins, Everett Sloane, Paul Stewart and George Coulouris) packed up and went west. An ebullient and versatile character actress, Agnes was impossible to typecast: she could play years older than her age, appear as heroine or villainess, tragedienne or comedienne. In her first film, the iconic Citizen Kane (1941) she played the titular character&apos;s mother. She received her greatest critical acclaim for her emotive second screen performance, as Aunt Fanny Minafer, in The Magnificent Ambersons (1942). In addition to being voted the year&apos;s best female performer by the New York Film Critics, she was also nominated for an Academy Award. Through the years, Agnes would be nominated three more times: for her touching portrayal of the jaded but sympathetic Baroness Conti in Mrs. Parkington (1944); for her role as the title character&apos;s Aunt Aggie in Johnny Belinda (1948) and for playing Velma, the hard-boiled, suspicious housekeeper of Bette Davis in Hush...Hush, Sweet Charlotte (1964), co-starring her old friend Joseph Cotten. Other notable film appearances included Jane Eyre (1943), with Orson Welles, The Woman in White (1948) as Countess Fusco), The Lost Moment (1947) (as a 105-year old woman) and Passagiers in de nacht (1947), a classic film noir in which she had third billing behind Humphrey Bogart and Lauren Bacall as the treacherous , malevolent Madge Rapf. She had a rare starring role in the campy horror flick The Bat (1959), giving (according to the New York Times of December 17) &apos;a good, snappy performance&apos;. On Broadway, she appeared in several noted plays, such as "All the King&apos;s Men" and "Candlelight". She enjoyed success with "Don Juan in Hell", touring nationally, the first time (1951-2) with Charles Laughton and Cedric Hardwicke, the second time (receiving fewer critical plaudits) with Ricardo Montalban and Paul Henreid in 1973. She also starred with Joseph Cotten in "Prescription Murder" (1962), which, while not a great critical success was much liked by audiences and introduced a famous detective named Lieutenant Columbo. From 1954, she also toured the U.S. and Europe with her own a one-woman show, entitled "The Fabulous Redhead". 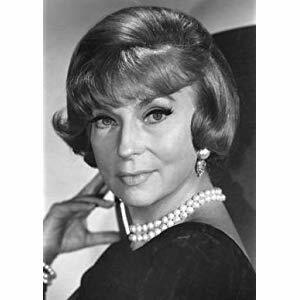 Agnes performed numerous times on television before landing the role of Endora on Bewitched (1964). One particularly interesting part came her way through the director Douglas Heyes, who remembered her from "Sorry, Wrong Number", and cast her in the starring - and indeed, only role in The Twilight Zone: The Invaders (1961) episode, "The Invaders". As the lonely old woman confronted by tiny alien invaders in her remote farmhouse, Agnes never utters a single word, cleverly acting her scenes as a pantomime of unspoken terror. Of course, the genial Agnes Moorehead has been immortalized as Elizabeth Montgomery&apos;s flamboyant witch-mother, Endora, though that was not a role the actress wished to be remembered for, in spite of several Emmy Award nominations. Indeed, she had considered the whole witchcraft theme to be too far-fetched and was somewhat taken aback by the show&apos;s huge popularity. 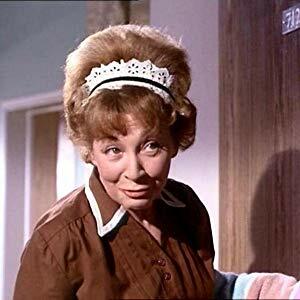 Agnes had a special clause inserted in her contract which limited her appearances to eight out of twelve episodes, giving her the opportunity to work on other projects. Commenting on the acting profession in one of her many interviews (New York Times, May 1, 1974), she found the key to success in being " sincere in your work " and to "just go right on whether audiences or critics are taking your scalp off or not".